Hither Green is a district in South East London situated in the London Borough of Lewisham. It lies on the Prime Meridian. It has a tranquil village atmosphere and is peppered with fine examples of Victorian and Edwardian architecture. 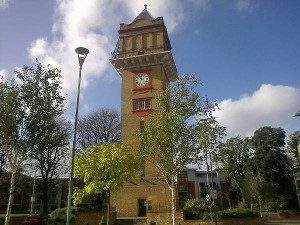 Hither Green can be reached by car via the A20 and A21. Hither Green has excellent public transport facilities. Hither Green railway station offers regular trains to London Charing Cross and London Cannon Street. The area also boasts connections with the Docklands Light Railway and is well served by buses. Lanes School of Driving first started giving driving lessons in 1914. The quality of Lanes’ driving instruction spread and Lanes quickly flourished due to its growing reputation. Today Lanes is well established and has taught generations of pupils how to drive. At Lanes the needs of our pupils are our priority. Lanes believes that each pupil has their own unique requirements and our courses are tailored accordingly. Pupils who want to learn fast can opt for one of our intensive driving courses. Theory can be taught alongside practical instruction or be taken separately. When our pupils pass their test they can continue their learning with us via the after pass courses we offer. These include: Parking Skills, Advanced Driving, Pass Plus and Motorway Driving. Our pupils often lead very busy lives. At Lanes we offer pupils complete freedom to schedule their lessons at a time that most suits them. We recommend regular weekly lessons as they are the most effective, but single lessons are also available. The instructor-pupil bond is paramount at Lanes and we guarantee one on one instruction for every pupil. We are proud to offer our pupils a fine selection of modern, fully equipped cars. We offer a pick up service and our pupils can arrange to be collected before each lesson and returned home afterwards. Lanes has a selection of over 40 highly experienced driving instructors available. Pupils are matched with the instructor which best fits their needs. Our instructors have successfully taught all ages from 17 to 70 and over. Nervous pupils need not worry as our instructors will be on hand to offer reassurance and support. Lanes’ instructors have top industry qualifications. They are each registered with the DSA and are fully qualified as Approved Driving instructors. Pupils will retain the same instructor throughout their lessons to maximise their progress. At Lanes we understand the anxiety that first time drivers often face. Female drivers can be doubly anxious when faced with the prospect of a male driving instructor. At Lanes our pupils have the option of choosing from one of our many female instructors. Our female driving instructors take a calm and measured approach to teaching. Pupils will not be pressured in any way and they are allowed learn at their own pace. Lanes have a selection of female driving instructors in Hither Green, London. Please contact us today on 020 8166 5678. Several of our pupils express a preference for learning in an automatic car. It is undoubtedly true that manual cars offer greater control for the experienced driver. Having said that, manual cars can be very challenging for the beginner. With automatic cars, our pupils are freed of the requirement to manually change gears and work the clutch. They can concentrate on steering the car and regulating their speed. Lanes have a selection of automatic driving instructors in Hither Green, London. Please contact us today on 020 8166 5678 or click here to send us an email via the contact page.